Crabb, Michael. "Fernand Nault". The Canadian Encyclopedia, 28 January 2014, Historica Canada. https://www.thecanadianencyclopedia.ca/en/article/fernand-nault. Accessed 18 April 2019. Fernand Nault, stage name of Fernand-Noël Boissonneault, dancer, choreographer, teacher, director (b at Montréal 27 Dec 1920; d at Montréal 26 Dec 2006). Fernand Nault, stage name of Fernand-Noël Boissonneault, dancer, choreographer, teacher, director (b at Montréal 27 Dec 1920; d at Montréal 26 Dec 2006). 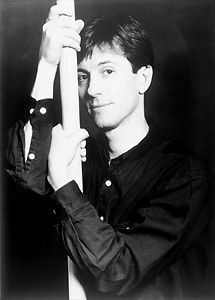 As resident choreographer of Les GRANDS BALLETS CANADIENS, Nault created a succession of highly theatrical ballets in an accessible, contemporary style, notably Carmina Burana (1967) and the early rock ballet Tommy (1970). These were innovative works for the times and greatly contributed to the company's popularity, especially with a younger audience, at a crucial period in its early development. Nault, after abandoning an early plan to become a priest, trained at Montréal's popular Lacasse-Morenoff studio and performed in the city's Les Variétés Lyriques. He also studied later with teachers in the US and Europe. In 1944, the visiting American Ballet Theater auditioned in Montréal to fill a temporary vacancy. Fernand Nault was hired and remained with ABT until 1965. 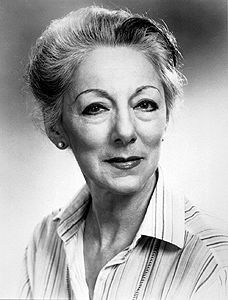 He became a noted character dancer and, with his legendary memory for steps, also began work as an ABT ballet master in 1958 and directed the company's school from 1960 to 1964. Nault's lengthy association with Les Grands Ballets Canadiens began with his return to Canada in 1965, and he has variously held the positions of associate director (1967-74), director of schools (1974-76) and resident choreographer. He created almost 30 original works for the company and also mounted productions of the classics. His 1969 dance setting of Stravinsky's Symphony of Psalms was performed during Holy Week in Saint Joseph's Oratory in Montréal and is viewed as a historic rapprochement between the Roman Catholic clergy and the art of ballet in Québec, previously denounced as immoral by the church. Les Grands Ballets has periodically revived selected works by Nault and continues to perform his popular staging of The Nutcracker each December. Les GBC named him choreographer emeritus in 1990. 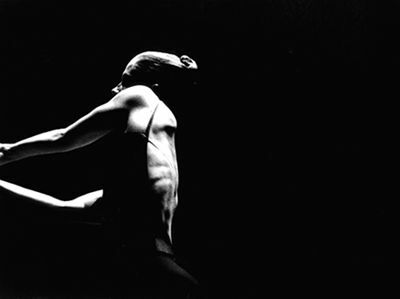 Fernand Nault has worked widely as a guest choreographer in the United States and Canada. He was resident guest choreographer of the Colorado Ballet (1978-81) and its artistic director (1981-82). In 2003 he established the Fonds chorégraphique Fernand Nault to preserve the artistic integrity and availability of his ballets, appointing his longtime assistant, André Laprise, as the foundation's effective director. His honours include the ORDER OF CANADA (1977), the Prix du Québec (1984), the Prix Denise-Pelletier (1984), Chevalier de l'ordre national du Québec (1990) and a GOVERNOR GENERAL'S PERFORMING ARTS AWARD (2000).